i’m calling in the thousands that are the dport7 army for this one!!! our friend and long time dport7 member brian lauvray needs your vote! he is a freelance writer for this online travel website called Trazzler. anyway they are holding a competition and one of brian’s articals has made it to semi-fianls. What do we need from you? 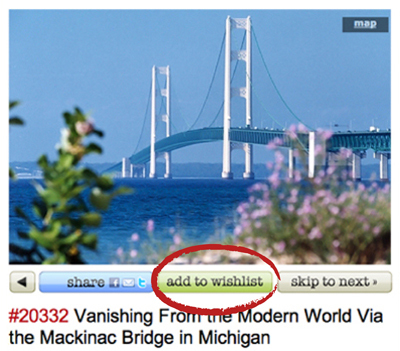 well we need you to do CLICK HERE and then click the green button that says WISHLIST. sadly you do have to sign in / create and account. although if your already on face book that’s easy and it takes a second… if brian wins it’s big money so rally people!!! see illustration below if confused! !